Complications in the relationship between NATO and Georgia includes presence of Russian forces in Georgian territory as a result of multiple recent conflicts, like the 2008 South Ossetia war, over the territories of Abkhazia and South Ossetia, which are home to large numbers of Russian nationals. 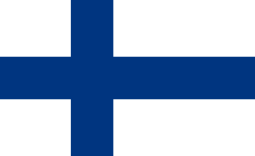 A nonbinding referendum in 2008 resulted in 77% of voters supporting NATO accession. 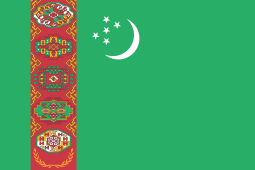 After the collapse of the Soviet Union, Georgia became an independent nation under the nationalistic leadership of Zviad Gamsakhurdia. 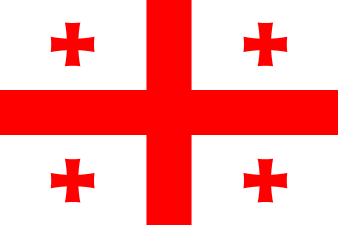 Georgia immediately had problems with Russian support of Ossetians in Georgia. Like others, Georgia joined the NATO-run North Atlantic Cooperation Council in 1992 and the Partnership for Peace, signing their agreement on March 23, 1994. 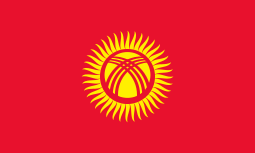 In 1996, Georgia submitted their first Individual Partnership Plan, and in 1997 ratified the Status of Forces Agreement. Georgia opened official relations with NATO in 1998 by opening a diplomatic mission and presenting an ambassador. 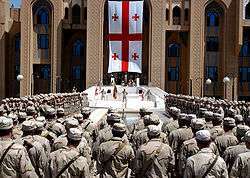 Following more discussions, the first joint military exercises occurred in Poti in 2001, with more in 2002. The 2003 Rose Revolution replaced Georgian President Eduard Shevardnadze with Mikheil Saakashvili, who has promoted closer ties with western institutions including NATO. In 2004, Georgian forces worked with NATO forces in the International Security Assistance Force in Afghanistan, as part of the election security force. Georgia's effort to join NATO began in 2005. NATO and Georgia both signed an agreement on the appointment of Partnership for Peace (PfP) liaison officer on February 14, 2005. The liaison office between them came into force then and was assigned to Georgia. On March 2, 2005, the agreement was signed on the provision of the host nation supporting and aiding transit of NATO forces and NATO personnel. 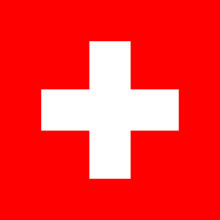 On March 6–9, 2006, the IPAP implementation interim assessment team arrived in Tbilisi. On April 13, 2006, the discussion of the assessment report on implementation of the Individual Partnership Action Plan was held at NATO Headquarters, within 26+1 format. Located on the northeastern border of NATO member Turkey, Georgia is the furthest of all countries currently considering NATO membership. 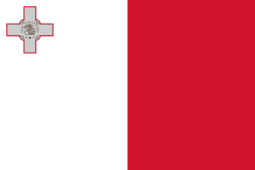 Article 10 of the North Atlantic Treaty limits membership extension to European states. Georgia's location on the juncture of continents is a subject of debate, yet similarly positioned Turkey has been a member of NATO since 1952. Russia sees NATO's eastward expansion as a threat against their strategic interests in Europe and has accused the West of having double standards. In 2014, prior to its 65th anniversary since its creation, NATO announced that it would not be offering any new countries membership into the organization that year. Analysts confirmed this as a sign that NATO members are becoming skeptical about further Eastern expansion due to worries about Russian retaliation to these new security guarantees so close to is borders. Georgia believes that membership in NATO is a guarantee of stability to the region by acting as a counterweight to Russia, which it considers a dangerous neighbor. This view was once again confirmed by the referendum in 2008 in which the majority of Georgians voted in favour of NATO membership. 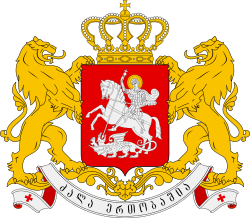 In 2006, the Georgian parliament voted unanimously for a bill which calls for the integration of Georgia into NATO. 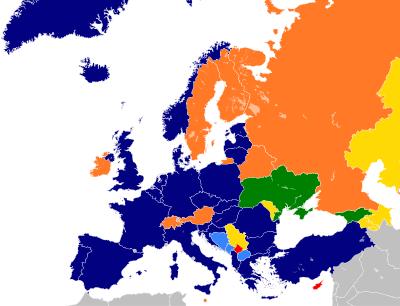 On January 5, 2008 Georgia held a non-binding referendum on NATO membership with 72.5% voting in favor of joining the organization. During the NATO summit in Bucharest, United States and Poland called for Georgia to be allowed to join the Membership Action Plan (MAP). The alliance decided not to offer Georgia a MAP due to opposition from several countries, led by Germany and France, who feared the decision would anger Russia. Instead NATO countries assured the Georgian side in a special communiqué that they would eventually join the alliance once the requirement for membership were met. Members further pledged to review the decision in December 2008 at the meeting of NATO foreign ministers. Responding on April 11, 2008, the head of the Russian military, general Yuri Baluyevsky stated that if Georgia joins NATO, "Russia will take steps aimed at ensuring its interests along its borders and these will not only be military steps, but also steps of a different nature". Ministry of Foreign Affairs of Georgia released a statement that said that it was "a demonstration of open aggression against Georgia" and called on the international community to react adequately to this "serious threat". The NATO communiqué which promised the country eventual membership still angered Moscow. After the summit, Russian president Vladimir Putin vowed support and protection to then-unrecognized republics of Abkhazia and South Ossetia, and even promising to open official Russian representations in the regions — a move which Georgia said violated international law and constituted a direct attack on a sovereign state. A Russian statement said "Any attempts to apply political, economic or, all the more, military pressure on Abkhazia and South Ossetia are hopeless and counterproductive." After the 2008 South Ossetia war, Russia recognized Georgia's two breakaway regions, South Ossetia and Abkhazia, as independent countries. On August 7, 2008, Georgia called for a unilateral ceasefire following days of exchanged gunfire between Georgian forces and South Ossetian separatists. Five and a half hours after Georgia's declared ceasefire, Georgia's Foreign Ministry sent troops into South Ossetia "to restore constitutional order in the entire region" The South Ossetian capital Tskhinvali became the site for a prolonged battle. Russia responded with a larger assault that quickly moved beyond South Ossetia in Georgia and included the other breakaway region of Abkhazia. This ongoing dispute complicates NATO's relation with Russia, which has peacekeeping troops in both regions, internationally recognized as Georgian territory. The South Ossetia war further diminished the likelihood of Georgian accession to NATO in the near future according to several analysts. Others however see it as a justification for Georgian membership in NATO. German Chancellor Angela Merkel said during the meeting with Russian president after the signing of a ceasefire agreement that the promise made to Georgia in Bucharest is still standing. However, she did not indicate a time frame, nor did she retract the earlier insistence of Germany and France, that Georgia must resolve its internal problems prior to any NATO membership. As of November 2008, there is not a consensus within NATO on a Georgian Membership Action Plan. On April 4, 2009, the NATO heads of state released a joint statement after the Strasbourg–Kehl summit, pledging to maximise their advice, assistance and support for Georgia's and Ukraine's reform efforts. The statement reiterated that the two countries will become NATO members, but did not specify the time. It reaffirmed NATO's "continued support for the territorial integrity and sovereignty of Georgia within its internationally recognised borders". The statement said that Russia has not completely complied with its commitments undertaken under the August 12 and September 8 ceasefire accords and called for Moscow to reverse its recognition of Georgia's breakaway republics of Abkhazia and South Ossetia. ↑ Press Release (2011) 145. NATO. 7 December 2011. Accessed 3 January 2011. ↑ "Information on NATO-Georgia Relations". Ministry Of Foreign Affairs Of Georgia. 2007. Retrieved 2008-08-28. ↑ "How did relations with Georgia evolve?". NATO. August 27, 2008. Retrieved 2008-08-28. ↑ "The North Atlantic Treaty". NATO. 1949-04-04. Retrieved 2008-08-20. ↑ "NATO rules out admitting new members anytime soon". Fox news. Retrieved 7 July 2014. ↑ "Georgians back NATO membership in referendum". Ria Novosti. Retrieved 7 July 2014. ↑ "Georgians back NATO membership in referendum". Sputnik International. RIA Novosti. 11 January 2008. Retrieved 7 April 2015. ↑ Ellemann-Jensen, Uffe (April 7, 2008). "Beacon falters in fight for freedom". The Australian. ↑ Prime Minister Francois Fillon -" We think it is not the right response to the balance of power in Europe and between Europe and Russia"
↑ "Russia continues to support the separatist regimes". International Herald Tribune. April 3, 2008. Retrieved 2008-08-28. ↑ Ossetian crisis: Who started it? ↑ Clark, Torrey; Greg Walters (August 8, 2008). "Putin Says `War Has Started,' Georgia Claims Invasion". Bloomberg L.P. Retrieved 2008-08-08. ↑ "Merkel, Medvedev Clash Over Russia's War in Sochi Talks". Retrieved 2008-08-15. ↑ Dombey, Daniel (November 11, 2008). "US gives way on Nato for Georgia and Ukraine". Financial Times. Retrieved 2008-11-28. ↑ "Russia says Georgia war stopped NATO expansion". Reuters. 21 November 2011. ↑ Kucera, Joshua (2013-05-02). "Ivanishvili: We Will Get NATO MAP in 2014". Retrieved 2013-08-17. ↑ Croft, Adrian (25 June 2014). "NATO will not offer Georgia membership step, avoiding Russia clash". Reuters. Retrieved 26 March 2015. NATO-Georgia relations. The NATO website. Facebook support group "I bet I can find one million people who support Georgia's NATO membership".